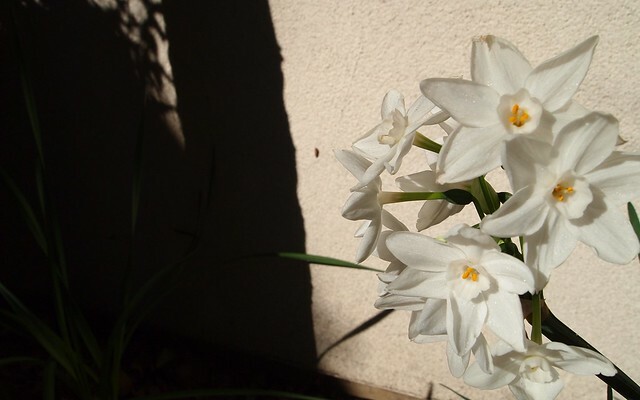 Here are a few more pictures of my paperwhites — this time in the sun — for a slightly better view. Well ^%$&@(*&! What happened to the sun?